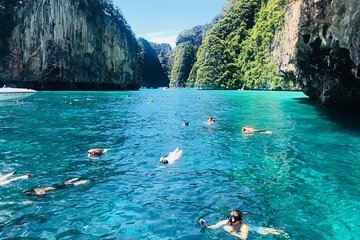 Hop on a boat and spend the day discovering the natural beauty of Ao Phang Nga National Park on this full day getaway from the chaos and crowds of Phuket. Take to the water and snorkel around Ao Phang Nga’s beautiful islands. Kayak around Hong and Jamebond Islands with a guide by your side to do the hard work of paddling and show you the beautiful sights in the water and on each island.